Let’s Talk About Adaptive Sports! 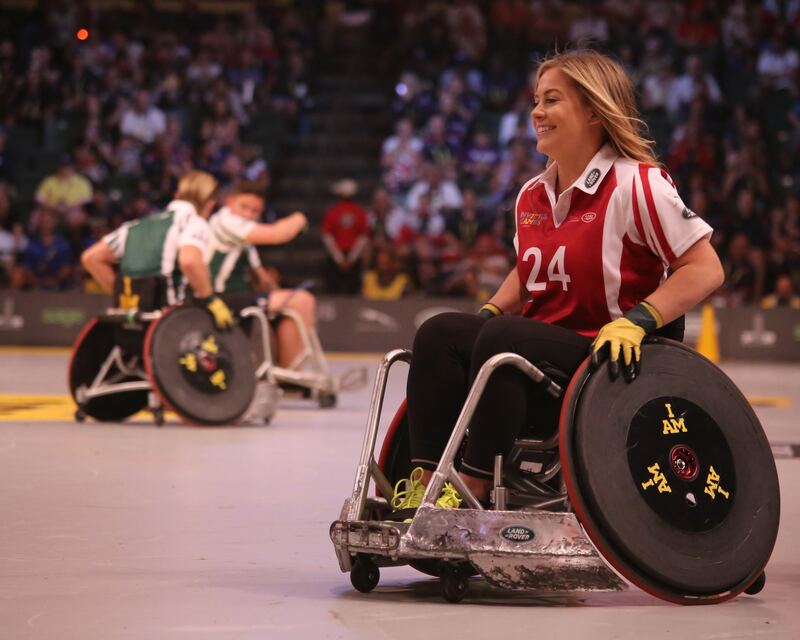 When you think of ‘adaptive sports,’ which sports come to mind? The answer may surprise you... Adaptive sports include (but aren’t limited to) swimming, snowboarding, equestrian, basketball, cycling, running, curling, surfing... and the list goes on! But what exactly do adaptive sports entail? We’ve mapped out some key things you should know about adaptive sports and their benefits, as well as some things to consider when you’re creating an inclusive athletics program! Adaptive sports, also known as parasports, are sports with modifications which allow athletes with disabilities to play. Adaptive sports date back to the 19th century, though grew in popularity after World War II when they were used as a form of rehabilitation for veterans. The first sports competition for athletes using wheelchairs took place during the 1948 Olympic games, and the movement continued to expand thereafter! The variations in adaptive sports out there are extensive! In most cases, the same sport can be adapted in many different ways to meet the needs of each athlete. For example, cross-country skiing is adapted to be accessible so that athletes may compete sitting, standing, or with a guide, due to visual impairment. Sometimes special equipment is required to make adaptation possible, such as a sit ski for an athlete who cross-country skis while sitting. Adaptive sports can provide many benefits to athletes with disabilities, including enabling them to reap all the positive effects that physical activity has to offer. These can include weight control, improved mood, prevention and management of health problems, to name a few! 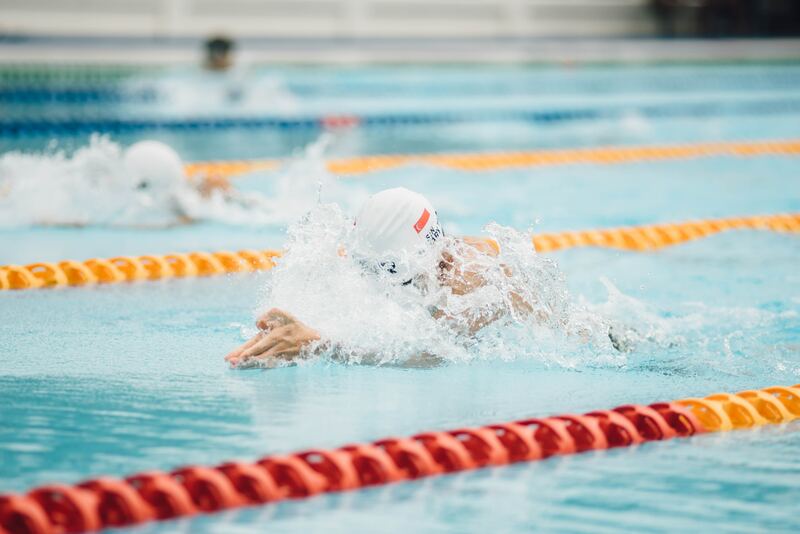 For some athletes, adaptive sports also provide the means to continue to be active following an accident which led to disability later in life. Participation in adaptive sports can offer benefits off the field as well! Playing adaptive sports can help people with disabilities gain confidence and physical independence. Some training programs could help athletes with disabilities build functional strength, enabling them to have increased endurance in the workplace, and elsewhere. A study from the University of Houston found that people with disabilities who participate in adaptive sports may have a greater likelihood of employment than those who don’t. One of the most well-known competitions for athletes with disabilities is the Paralympic Games, which takes place directly after the Olympic Games. To facilitate fair competition, athletes competing in adaptive sports events like the Paralympic Games are classified based on their impairments. Athletes with similar disabilities are placed in the same classifications so there aren’t unfair advantages. Modifications you may see during competition could include the use of lighter field implements or other adaptive equipment. Check out our round-up of highlights from this year’s Paralympic Winter Games here! Although adaptive sports competitions are held all over the world, athletes with disabilities are by no means limited to competing solely in adaptive sporting events! In fact, Paola Fantato, an archer, competed in both the Olympic and Paralympic Games in 1996, making her the first athlete to ever do so. All athletes have the right to participate in sports, but may not always have access to an athletic program that can meet their needs. If you’ve decided to make your athletic program more inclusive, it’s important to eliminate any barriers, physical or otherwise, that could be in the way of all athletes getting involved! This could mean taking the time to seek advice or research how other sports organizations provide accommodations and modify their sport. It’ll all depend on your goals! Successful inclusion will benefit the entire team, from coach to athlete, as they’ll be exposed to new experiences. It all comes down to your openness and willingness to treat everyone equally! Providing all athletes on your team with the same level of feedback and giving everyone the opportunity to lead will only support the entire team’s growth. Adaptive sports are helping shift the focus to athletes’ abilities and contributing to positively shaping the perception of athletes with disabilities. With support from the athletic community, the presence of adaptive sports can continue to grow and benefit all athletes!